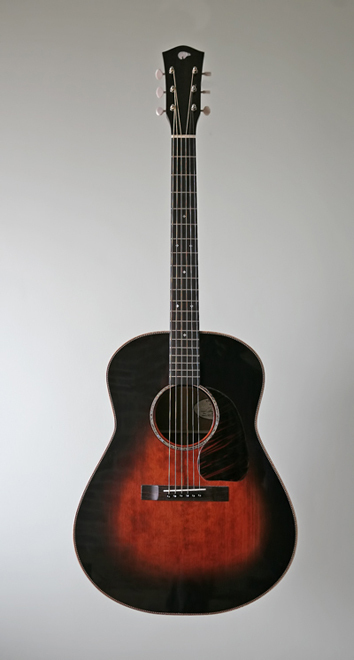 The Wakefield is my version of the Gibson J-45 from the mid 1940's. It has a slightly smaller body size which makes a more comfortable and lighter guitar. The short scale length and slim neck profile make for exceptionally easy playability. All these elements in combination with the hand tuned top, add up to a guitar that is responsive to flatpicking, strumming, fingerstyle, and almost all style of playing.